The ingenious Quick Heal DNAScan technology is now enhanced to combine behavorial and characteristic inspection and monitoring of unsafe programs. This results in a clean, more up-to-date and accurate detection of threats. The revamped antivirus scan engine avoids rescanning files that have not been altered since the previous scan. This reduces system resource usage. Real time cloud security restricts access to malware infected websites. This feature gives internet security protection by blocking threats transferred through websites hosting malicious codes. Running your web browser in Sandbox Browser gives you an uninterrupted and secure browsing experience. It provides internet security protection by acting like a screen between the PC's operating system and the malicious threats. This feature now comes with a USB drive support. Quick Heal AntiVirus pro gives cloud-based email security that prevents phishing and infected emails from reaching your Inbox. All you computer freaks, don't forget on backing up your computer with best computer software. Cause, they are the intrinsic ones that deliver you the best of your expectations. Choose from the expansive length of variety available from Infibeam's online store! Email Protection does not support encrypted email connections such as Secure Sockets Layer (SSL). 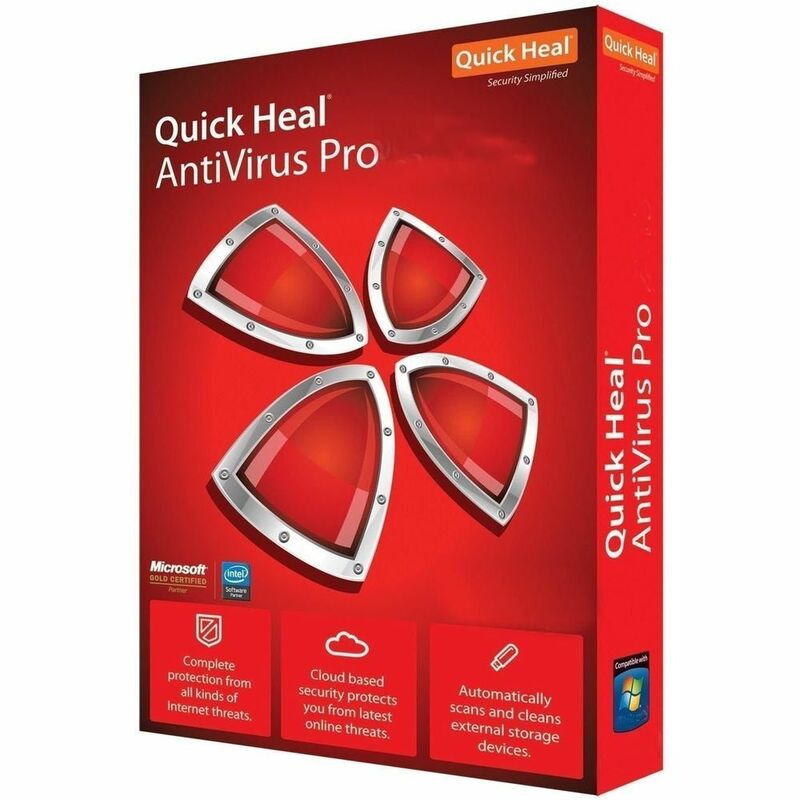 Quick Heal Anti-Rootkit is not supported on 64-bit operating systems. It requires minimum 512 MB RAM installed on the system. This feature is not supported on Microsoft Windows 2000 operating system. This feature is not supported on Windows 2000, Windows XP 64-bit operating systems. Excellent.Its a very good product and price also chip than outside market. Received within 3 day and item brand new and damn cheap. Hats off infibeam. This product is really a good one & it helped me a lot to clean up my PC and it can check all corrupted files and viruses of your PC.